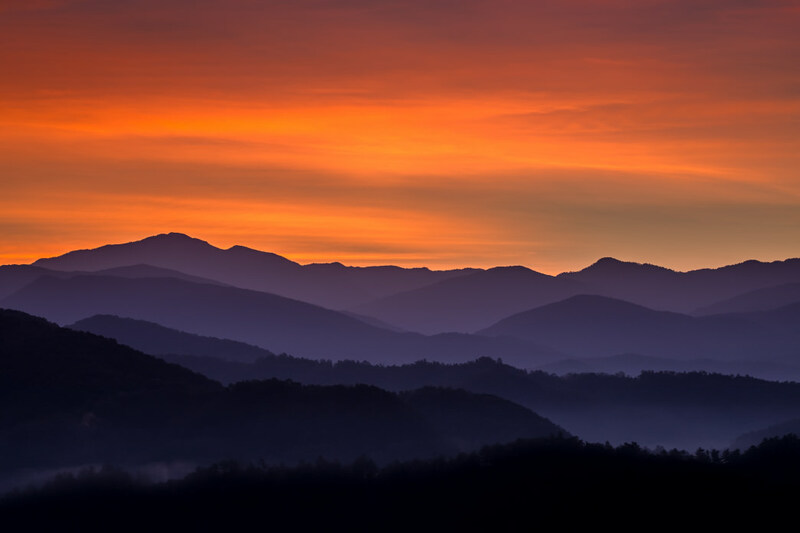 According to National Park Service stats, Great Smoky Mountains National Park hosted over 11 million visitors last year. But that doesn’t mean you should give up on that backcountry trek or fly fishing expedition and turn on Survivor reruns—we’ve got a few tips and tricks that experienced outdoor trekkers use to find solitude on the trail. NPS statistics back this up: last year, traffic counts at the Gatlinburg entrance to the park were anywhere from two to nine times higher than all other park entry points. Cades Cove Campground visitation exceeded stays at all other campgrounds combined. While there are ways to experience these tourism hot spots—and we’ll get to that later—over 500,000 acres of pristine park land and 850 miles of lesser-used trails await the savvy outdoor adventurer in the Smokies. Literally. Though they may not top your Google search, the lesser-known sections of the park are often just as scenic and more pristine. The Greenbrier area, off Hwy 321 east of Gatlinburg, is a top destination for wildflower viewing in the spring. Visit year round for a 4-mile hike to the tallest waterfall in the park, Ramsey Cascades. You’ll gain 2,000 feet of elevation on the way, so pack in food to enjoy a picnic by the falls. Continue west past Gatlinburg to another hidden gem on the northern side of the park. 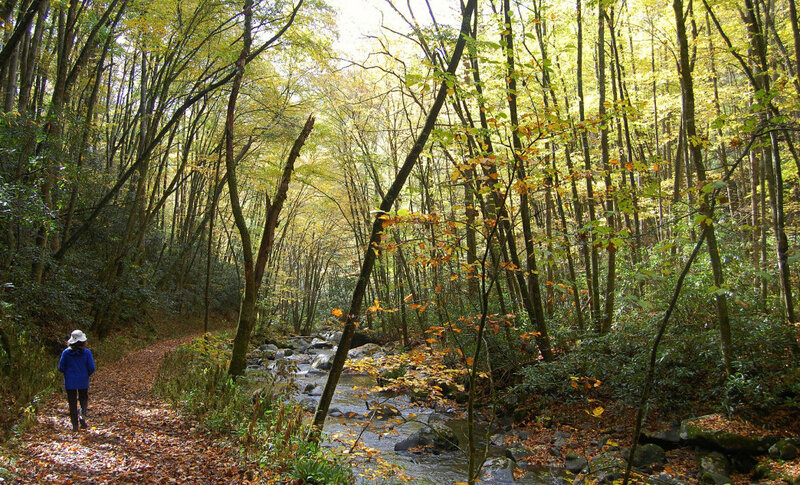 Hike the Tremont area’s lush, streamside trails to waterfalls, ridgeline vistas, and fly fishing that rivals anything else in the Smokies. Trek through history on the Middle Prong Trail, an 8-mile former railroad bed for the Little River Lumber Company. Catch a glimpse of reminders of industry and pioneer life that prospered when this area was known as Walker Valley. 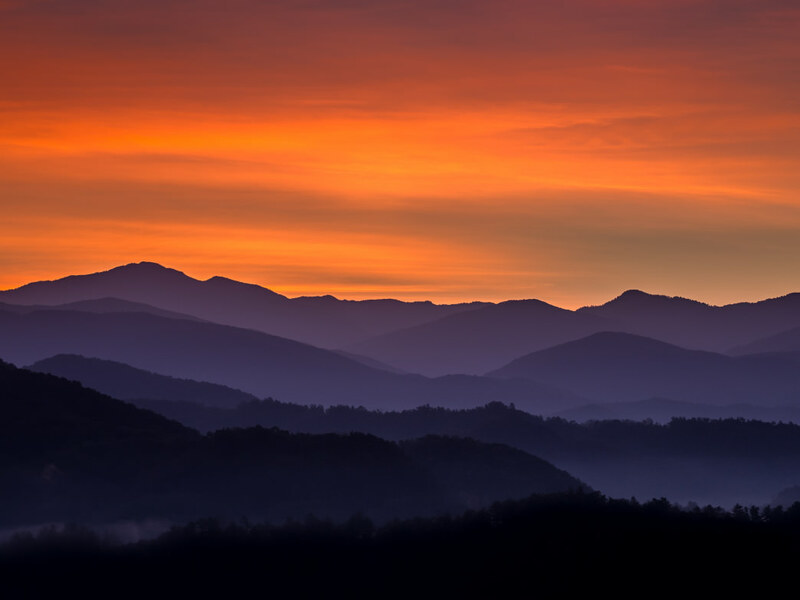 The Great Smoky Mountains Institute offers educational hikes and workshops out of Tremont and the extensive trail network leads to Panther Creek and Elkmont, the Appalachian Trail, or back to the trailhead via numerous multi-day backpacking loops. Make the Cosby or Big Creek Campgrounds your base camp for exploring the stunning views, misty creeks, and gushing waterfalls in the northeast corner of the park. 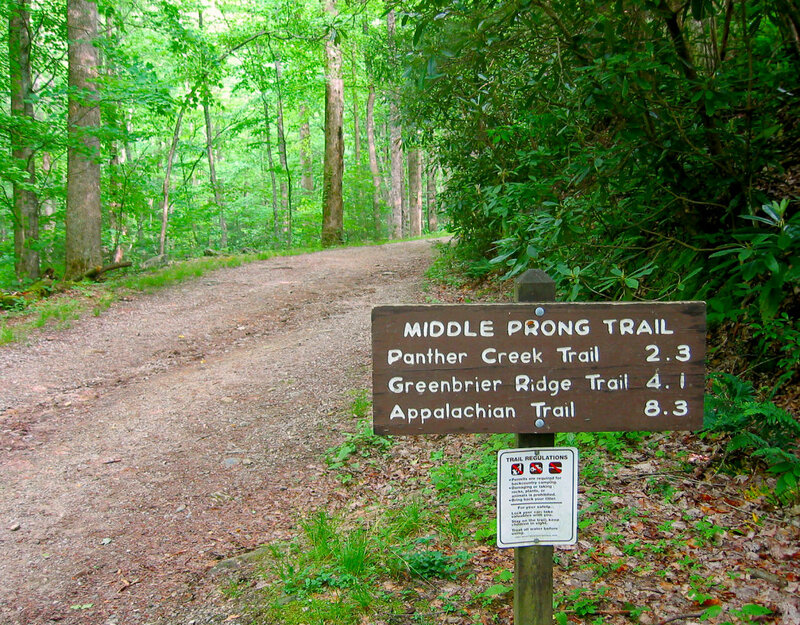 Access the Appalachian Trail, day hike to some of the park’s highest peaks, and backpack epic loops along the AT to Mt. Cammerer, Cosby Knob, Mt. Guyot, and Mt. Sterling. Another alternative out of Cosby is the low elevation, non-technical Old Settlers Trail, one of the original footpaths through the region. The remains of homesteads, along with numerous creek crossings and biologically diverse habitat, make this quiet trail a stand out for valley treks. Spend a week hiking from Davenport Gap to Newfound Gap (crossing Mt. 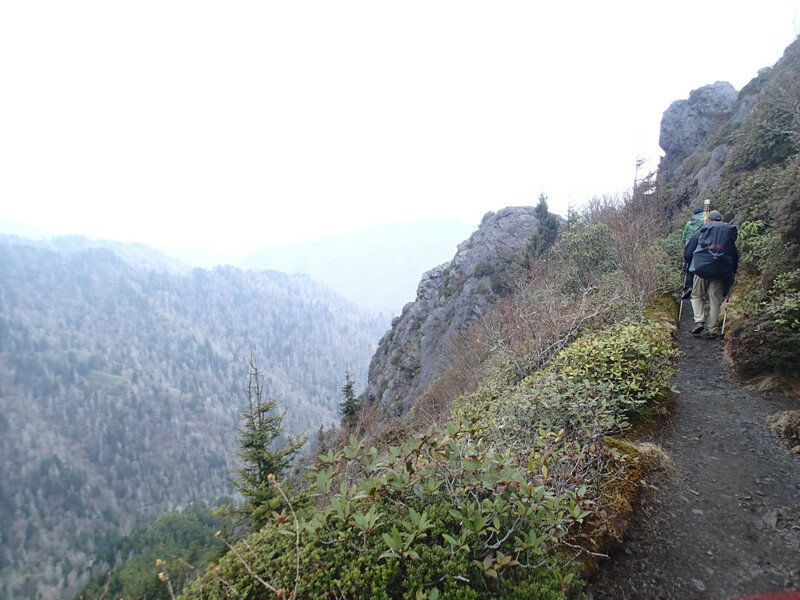 LeConte toward the finish) for solitude, bragging rights, and an unforgettable Smokies experience. Enter the park through Cherokee to explore the trails out of Smokemont. This southern entry offers endless moderate hiking options, and is the best spot to learn about the region’s first inhabitants: the Cherokee Indians. 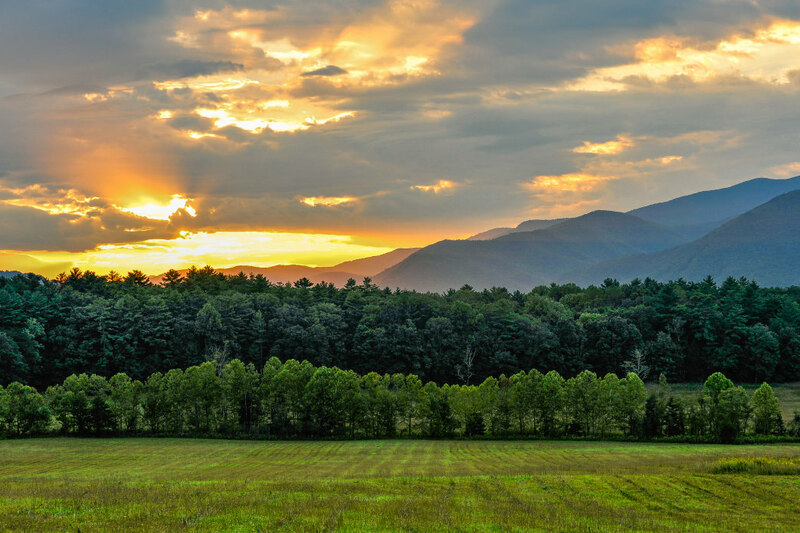 Farther west, the Twentymile Ranger Station is your back door access to Gregory Bald, a high-altitude grassy meadow with 360-degree views over the often-congested Cades Cove area. According to Wheeler, peak congestion in the park is just like rush hour in any major city. "If you’re driving in Atlanta at 5 p.m. on a weekday afternoon, it’s crowded," he says. “You’ve got to be willing to go middle of the week, early morning, and you’ve got to be willing to stay in the park late.” To avoid congested roads and have the best chance to see wildlife, drive in at dawn and stay until dusk. In the summer, make sure to take in ridgeline vistas by noon before afternoon thunderstorms roll in. Time your visit around the peak months of mid-June through mid-August and October to spend your time on the trail, not in a traffic jam. An overwhelming percentage of visitors are motor touring, so simply hiking a mile or two up most trails will put the crowds behind you. And it goes without saying: the worse the weather, the fewer the crowds. "Bad" weather is all in your perspective—rain, fog, ice, and snow can lend a magic to the Smokies. Precipitation casts a dewy, muffled quiet to valley trails, a frosty shimmer of ice to the mountainsides, and the bright warmth of sunshine to the peaks that rise above the cloud cover. Mt. LeConte, Clingmans Dome, and Cades Cove are crowded for a reason. It can be worth braving the crowds to witness their iconic beauty, even in peak season. Just go in prepared, armed with food and drink and an excess of patience. Be aware that the Cades Cove Loop Road is closed on Wednesday and Saturday mornings from May through September for biking, walking, and running. Book a campsite ahead to savor this time in the valley, because traffic stacks up for miles by the time the road reopens at 10 a.m. The climb to hike-in only LeConte Lodge is strenuous, but the soft bed, warm cabins, and trail-savvy camaraderie is a bucket list experience. Booking a cabin through the lottery reservation system is challenging, but flexibility to jump on a cancellation on short notice usually gets you in. Hike lesser-used Rainbow Falls or Trillium Gap, or go ahead and take the spectacular—and therefore crowded—Alum Cave Trail to the lodge. You may be surprised how much you enjoy the company. Originally written for BCBS of Tennessee.